The Riva Studio Edge is for those who require minimalist modern perfection. 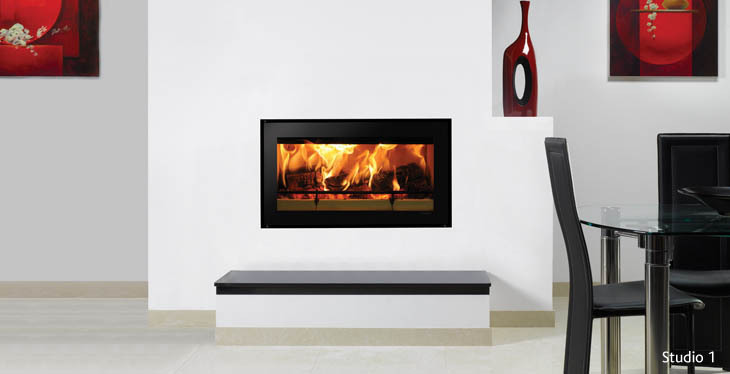 This contemporary fire has a seamless no-frame design, allowing your home’s interior to frame and enhance the roaring flames. Combine this with optional fan-assisted convection system and you can boost the flow of heat into your room whilst providing a beautiful focal point. The Riva Studio 500 has been specifically designed to fit into a standard 22″ British fireplace opening without any additional building work. *Once installed, the Edge kits are flush with finished wall surface.